“We boxers are always trying to please our fans. We want to give them the best fights we can. In order to do that, one needs to have the best promoter in the market so you can get the best fights you can. Who’s the best promoter in the market? Golden Boy. So, I decided to go ahead and sign with them and sign with the best there is. “Signing with Golden Boy is the best thing to do. They have the best fighters and at this point, after winning my last fight against Amir Khan, it makes sense to fight the top guys. “I’m training hard for my next fight and I’m going to keep on doing it. I feel I have some things to prove. I’m confident I’ll come out victorious and I’ll move on. 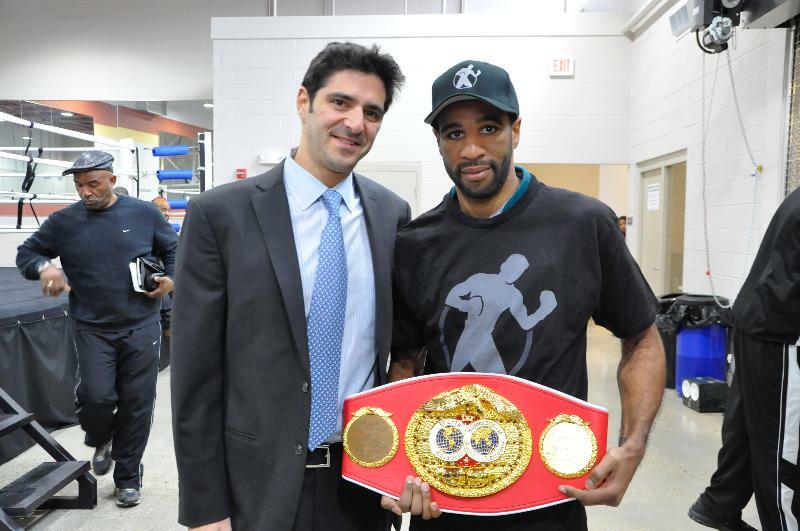 “Golden Boy Promotions is pleased to announce the signing of Lamont Peterson. We’ve worked with him on fights dating back to 2010 when he fought Victor Ortiz in Las Vegas and are very excited to welcome him to our team. “We’ve seen him fight our fighters, so we know what he’s capable of. “We can offer Lamont a lot of possibilities for big fights [at 140 pounds]. If he wants to move up in weight, we have big-name fighters at welterweight too. “He’s fought against Golden Boy fighters in the past and we are excited he’s now becoming one of them. For more information, visit www.goldenboypromotions.com; follow us on Twitter at www.twitter.com/GoldenBoyBoxing, or visit us on Facebook at Golden Boy Facebook Page.